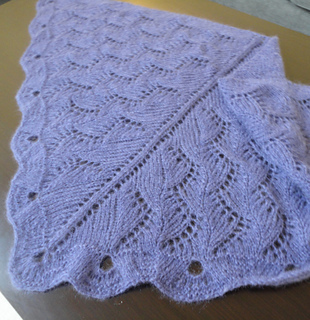 It all started with a lovely zig zag lace panel, chosen for its simplicity and ability to allow gorgeous yarn to show to its best advantage. 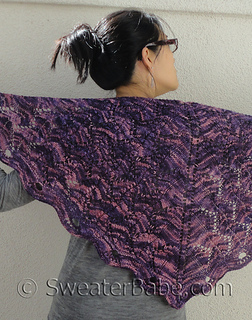 With a little creative shaping, the lace panels are worked so that they span out towards the bottom edge of the shawl as the triangular shape is created. 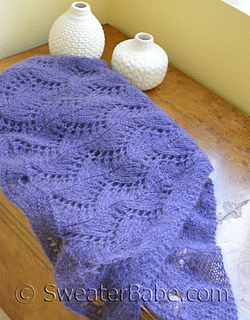 This sophisticated shawl is also a quick knit, as it only uses 2 hanks of Madeline Tosh’s DK yarn, which knits like a dream on size 8 needles. 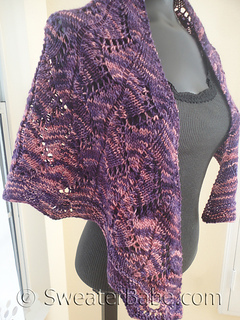 Second sample knitted up beautifully on size 10 needles with 4 balls of mohair yarn, showing just how versatile this pattern is! 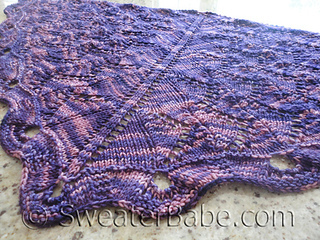 FINISHED KNIT MEASUREMENTS: Madeline Tosh DK Sample, multi-colored: Approx 48” 122 cm across top; 23” 58.5 cm height at center. 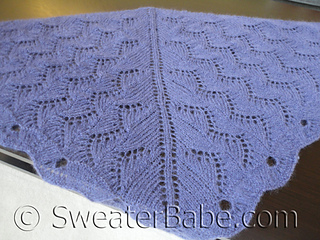 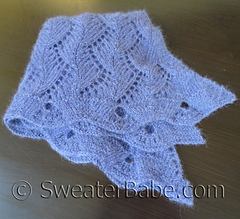 Lilac sample (Aran-weight GGH Soft Kid), approx 52” 132 cm across top; 27 ½“ 70 cm height at center. 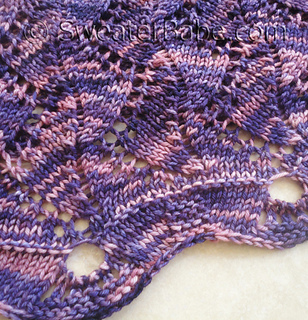 Approx 10 sts = 2 ¾“ 7 cm and 20 rows = 4” 10 cm in Zig Zag Lace patt (blocked) on size 10 6 mm needles and Bulky or Aran-weight yarn (the lilac mohair one).